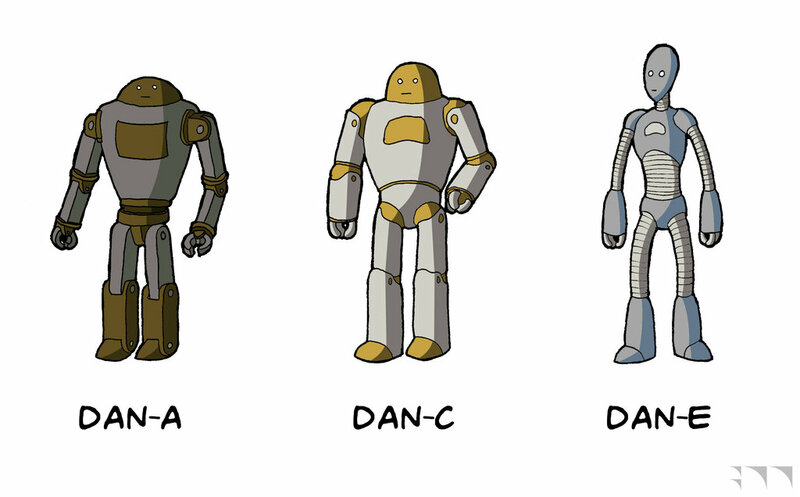 Introducing the Durable Android (DAN) line of robotic workers. The introductory model A is an affordable general-use android, great for light industrial or janitorial work. The mid-range model C is a durable heavy-duty android, well suited for heavy construction work or mining. The model E is the most state-of-the-art android money can buy. With it’s advanced AI and personality routines, it’s perfect as a personal assistant, secretary, or customer service associate. Drawn with Zig pens, colored in Photoshop.